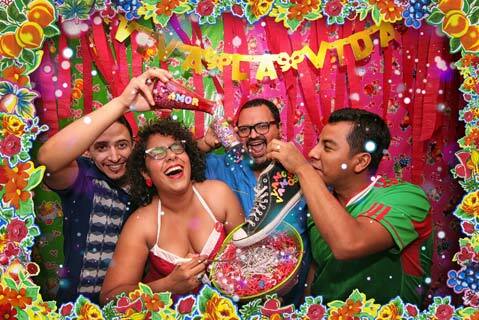 <b>FIESTA, FIESTA:</b> Los Angeles’ La Santa Cecilia is (from left) Alex Bendaña, La Marisoul, Miguel Ramírez, and José “Pepe” Carlos. The Grammy-nominated act comes to Santa Barbara for a series of free, all-ages shows starting January 10. Whether or not you’re a parent, you’ve probably lamented the dissolution of arts education programs in our public schools. Some have even gone so far as to say that the nation’s art-annihilating budget cuts are signaling the “end of the American Dream.” In the wake of these changes, after-school programs and nonprofit organizations have popped up by the dozens, attempting to fill the void by offering students everything from musical instruction to pottery classes to dance and yoga, often at little to no cost. Still, few area advocates have succeeded in bringing art back into the classroom quite the way ¡Viva el Arte de Santa Bárbara! has. Started in 2005 as a collaboration between UCSB Arts & Lectures, the Marjorie Luke Theatre, Guadalupe Cultural Arts & Education Center, and Isla Vista Youth Projects, ¡Viva el Arte! aims to reach out to Santa Barbara’s Latino communities with free public performances and outreach programs. Last year alone, the organization connected with more than 17,000 children and adults in the greater Santa Barbara County area. And this week, they bring Los Angeles act La Santa Cecilia to town for a three-day mini-tour that includes performances at Isla Vista School, Guadalupe City Hall, and Santa Barbara Junior High. As for the talent, the timing couldn’t be any better. After nearly seven years of cutting its teeth in and around L.A., La Santa Cecilia is finally reaping the benefits of all its hard work. In 2012, the band signed a major-label deal with Universal Music and last month snagged its first Grammy nomination for its 2013 masterpiece, Treinta Días. In many ways, Cecilia is getting its first taste of the spotlight, and true to form, its band members remain focused on how they can give back.. Formed in 2005 by frontwoman La Marisoul (given name Marisol Hernández) and Miguel Ramírez, La Santa Cecilia makes the kind of music that speaks to its origins: It’s a melting pot of flavors, ethnicities, and identities that, for many reasons, could only be born in L.A. Marisoul grew up watching and eventually singing in the Mexican bandas that occupy Los Angeles’ famed Olvera Street. (Her father owns a bric-a-brac shop on the street’s square.) In between playing traditional music at weddings and events, she dabbled in emo bands, collecting musician friends from across the city as she went. Eventually, she recalls, friendships turned to collaborations, which led to a band of her own. 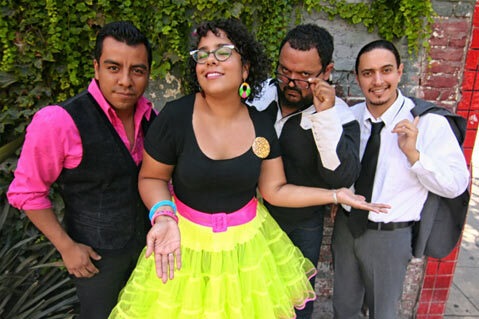 As evidenced by their songs, La Santa Cecilia’s members come from a broad range of musical backgrounds; traditional Mexican folklóricos and boleros mix and meld with blues, jazz, punk, ska, Afro-Latin, and soul, creating a sound that calls to mind a female-fronted Ozomatli for the next generation. <b>BAILAMOS:</b> “There’s a big desire amongst us to just experiment,” says La Santa Cecilia frontwoman La Marisoul, who mixes traditional Mexican music with powerhouse jazz and soul vocal deliveries. Take Treinta Días, an album that operates far outside the proverbial “Latin music” pigeonhole. Named for the 30-day struggles to make rent that band members faced over the years, Treinta plays out like an unabashed celebration of life, loss, and growing up in Los Angeles. Unrequited love is at the center of “Losing Game,” a song that finds Marisoul’s soulful, Alice Russell–style vocals tangoing with guest vocalist Elvis Costello’s low-registered speak-sing. On album closer “Ice el Hielo,” the singer tackles her real-life struggles with immigration and identity, set to the tune of a somber bossa-nova-inspired guitar line. In many ways, “El Hielo” is a prime example of both what La Santa Cecilia does best and why they’re so well equipped to act as musical ambassadors to a younger generation. Born of working-class parents, they picked up instruments young, forged their own path, and, through a great deal of hard work and persistence, are now capable of sustaining themselves through their art. ¡Viva el Arte! brings La Santa Cecilia to Santa Barbara this Friday-Sunday, January 10-12, at Isla Vista School, Guadalupe City Hall, and the Marjorie Luke Theatre. All performances are free, all-ages, and open to the public. For more information, call 884-4087 or visit luketheatre.org/vea_vea.html.